What Do Shark Dreams Mean? Steven Spielberg got it right when making Jaws … he definitely knows the very primal things in the water that frighten us, and he also knew it was the invisibility of what we feared that scared us even more. Indeed, there is not a person who has swum in ocean waters that has not had that thought of a shark encounter at least once, and the more time you spend in the water, the greater the likelihood you will think about it! Sharks are clearly a force that you should not reckon with, but if it swims into your dreamscape then it is definitely time to pay attention! That dorsal fin popping up out of the water and heading your direction definitely means to tell you something and fast! It was until the 16th century that sharks were known by the name of “sea dogs,” and there’s no clear etymology for the word “shark” we know today. This creature is fascinating indeed, particularly with the fact that they have many rows of super sharp teeth that simply move forward and replace those lost. The average shark is said to lose more than 30K teeth in a lifetime. That’s a lot of shark tooth necklaces my friend, and if humans could do that all dentists would be out of business! Ironically, when a human cuts teeth, it is a rite of passage for the individual, but with the shark, the cutting of teeth marks more of a passage of a short period of time. When dreaming of the shark then, consider the teeth and then consider some corresponding clichés that for insight. For example, are you biting off more than you can chew in a situation? Are you attempting to be closer to your “roots,” by pursuing long-lost relatives and ancestors? The predatory nature of sharks is indisputable, so they become associated with the darkest depths of the subconscious and represent fear, terror, and long-buried emotions not yet managed or controlled. The shark may be coming to you in dreams to forewarn you of coming dangers or force you to take a long look at what you fear the most. To be called a shark in a dream is to be called a liar or to be accused of sneaky behavior; This situation may occur when you are awake. Likewise, to call someone else a shark to suggest the person has little to no morals or the individual engages in negative and questionable behavior; when this happens, carefully assess who you are interacting with In your waking life. Are there sharks around you? Can you trust the people you associate with at the present time? If not, your dream about the shark will point you in the right direction when looking to improve the energies in your life and your real-world support system. Before born and while still in the womb of the mother, some sharks will not only eat any remaining yolks and eggs but other sharks as well. If you see sharks eating other sharks in your dreams, it could mean that you will narrowly escape difficulties when those who might oppose you come up against an unexpected misfortune. Many sharks don’t prove excessively dangerous to humans. There are more than 470 different types of sharks, with four being the most aggressive including bull, tiger, oceanic whitetip, and, of course, the great white: To see any of the latter in a dream means you are at serious risk of potential injury, whether that injury be emotional, physical or even financial. Ultimately, the outcome of the dream really determines the final message … if you escape injury or get away from the shark and survive, it is definitely an omen of luck that lies ahead. Now that you know what these frightening rulers of the oceans mean when swimming through your dream realm, why not learn about other fish and aquatic creatures. 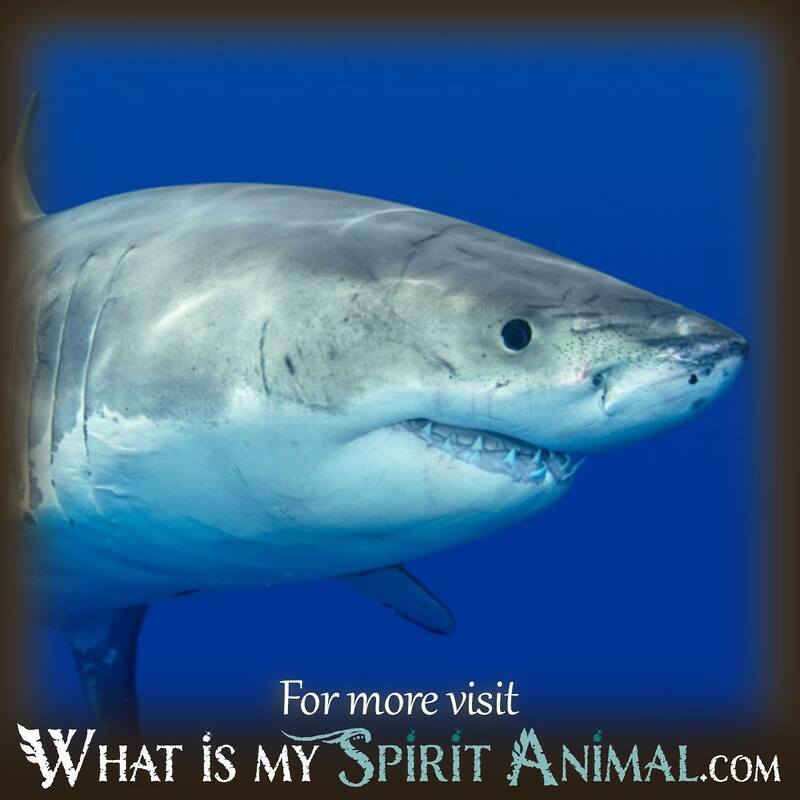 You will find plenty of information to browse through here at WhatIsMySpiritAnimal.com.